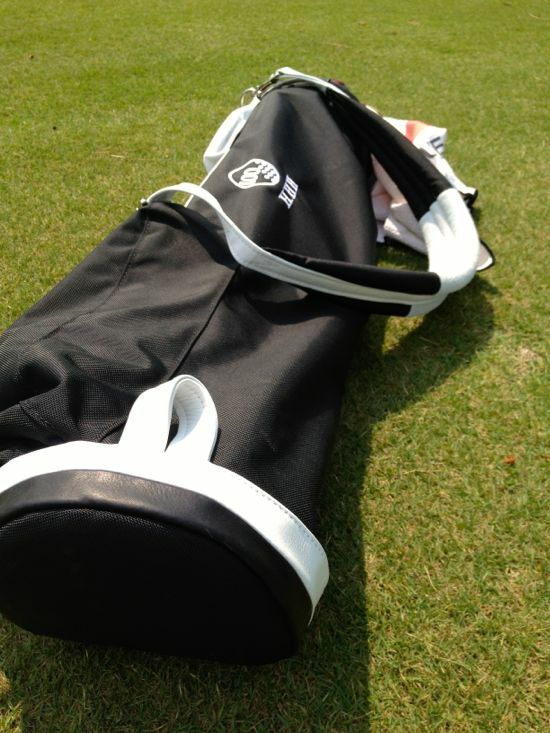 Note: We’re auctioning off the bag used in this review with all of the proceeds going to the Shivas Irons Society. The auction will be held until 7/15/2012 and is available on the Shivas Auction website. 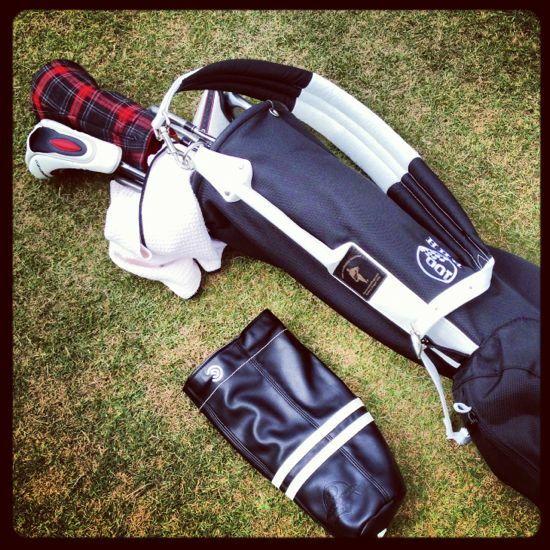 There aren’t many golf companies out there that command the respect of the legendary MacKenzie Golf Bag Company. 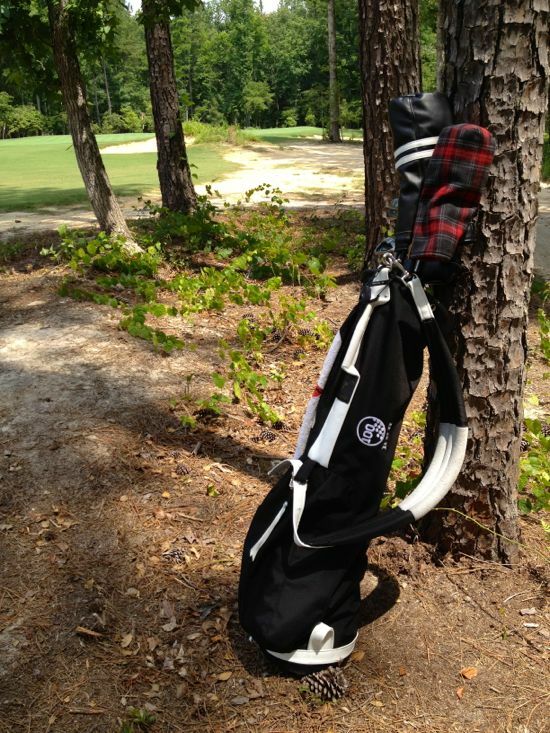 Just about anywhere you find individuals that are deeply devoted to the game – you’ll find people that are singing the praises of custom-made MacKenzie golf bags. 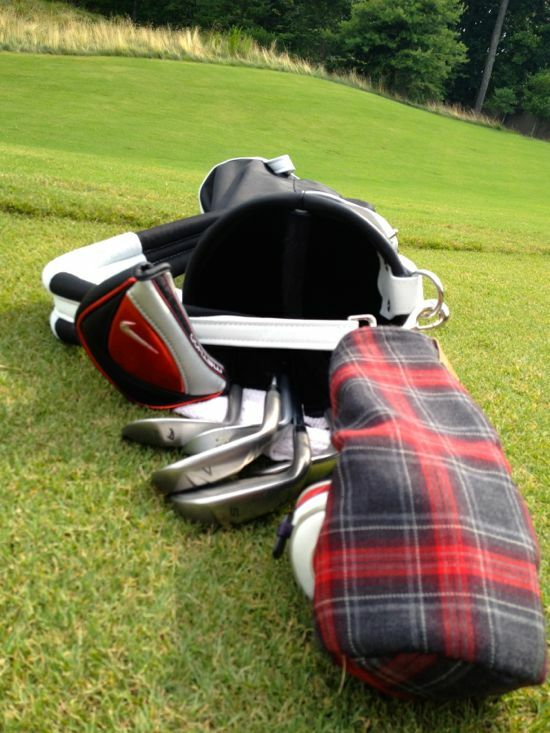 Although the bags are rarely seen or used by the occasional golfer, you’ll find an entire subculture of both traditional and progressive golfers that wouldn’t be caught anywhere without their MacKenzie bag. When I made a commitment at the beginning of the year to walk every round, I found a dedicated group of golfers throughout the world that had taken on the same commitment. Some of those golfers have made the commitment explicitly and some have never really taken a cart in the first place. One of the things that I noticed while immersing myself into this way of thinking was that the majority of these dedicated walkers were deeply dedicated to using MacKenzie bags. It’s not that this group of walking golfers waited anxiously for the latest products to be released from MacKenzie, they all appeared to be using the same bag that they had purchased many years ago. Many even talked of their intention of handing down their bags through the generations. This naturally sparked my interest and started a chain of events that led to using a MacKenzie Ballistic Walker during my recent Hundred Hole Hike. All the MacKenzie bags have a dedicated focus on simplicity. On initial inspection of these bags, the first thing that stands out to those that are unfamiliar with the company is the lack of features. 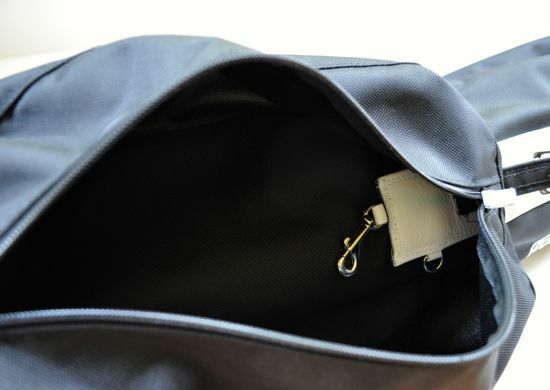 There are no stands, no towel loops, no dividers, only one or two pockets (depending on the model), no water bottle holder, no valuables pouch, no high-tech gadgets, and only one strap. 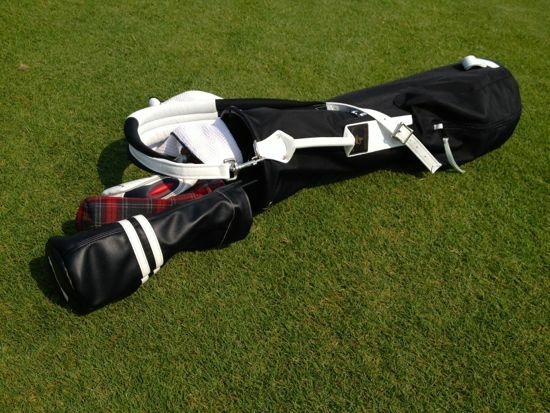 In short, it’s a minimalist bag, something that is fittingly viewed by many as the golfer’s golf bag. The bags are all hand crafted and there are under 1,000 bags produced every year. These aren’t bags that are churned off of an assembly line in China, they are all hand made in Portland, Oregon. Each bag is made to order and gives the purchaser the ability to customize colors and embroidery. Each bag is intended to be your perfect companion – a bag that you will likely have forever. When I first heard of the bags I went to directly to eBay to see if I could find any used bags and noticed that they are rarely listed. Given that the company has been around for a while I thought I would easily be able to find bags for sale. The reality is that people don’t want to get rid of these bags, they are viewed by their owners as true works of art – and they are. 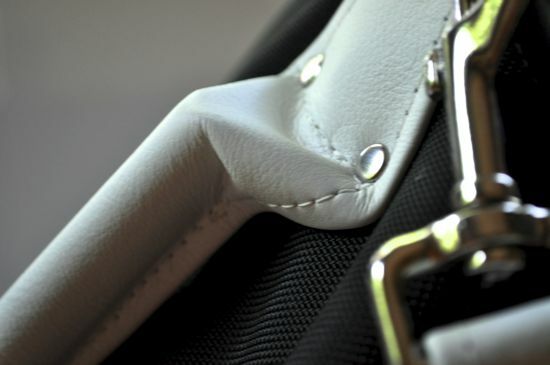 Not only are the bags exceptionally well crafted, they also get better with age. 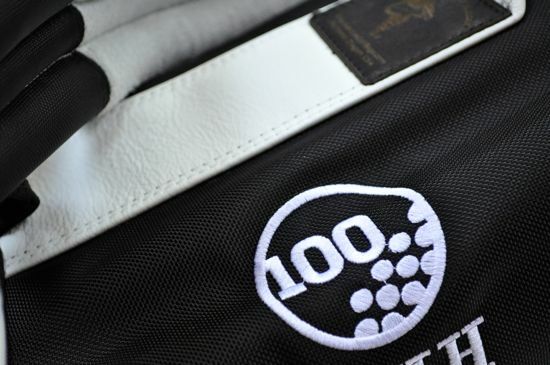 These are bags that are built to last and with that durability comes an ability to collect a lifetime of golfing memories. The specific bag that I used for the Hundred Holed Hike was a Ballistic Walker. This is a ballistic nylon version of the Sunday MacKenzie Walker with leather and suede accents throughout the bag. The ballistic material is a great option for material and the durability appears to be excellent. 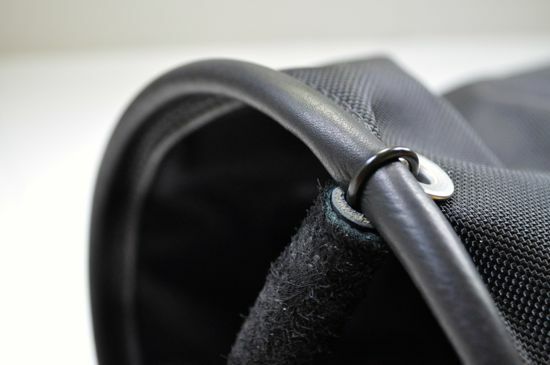 While the bag comes in at a much lower price point than the leather version – the material appears to be a good compromise if you’re looking for a way to get one of these great bags at a lower price point. The Ballistic Walkers still offer the customization options of the leather bags, they simply have the ballistic nylon instead of the leather. 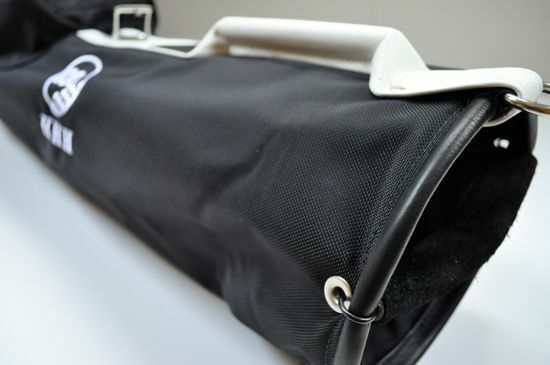 The bag can technically hold a full bag of clubs, but the majority of golfers (including myself) tend to remove clubs and play with a limited set. As you switch to the minimalist aesthetic with the bag, it just makes sense to drop some clubs out of your bag. I’ve found that I can remove quite a few clubs from my bag and still have plenty of clubs for a round of golf at any course. I tend to carry 9 clubs and since dropping all of those extra clubs has resulted in me playing better and stressing less over club selection on each shot. The Sunday version of the bag has one tall pocket for the entire bag. 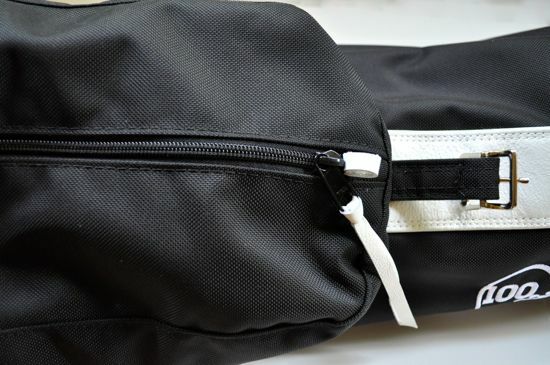 This single pocket can store everything that you need for a typical round of golf. I was able to easily fit a valuables pouch, a few sleeves of balls, and two waters while still having plenty of room left over. I was initially worried about the one pocket during the Hundred Hole Hike (the routing for Dormie Club, where I played, does not return to the club house until the end of the round), but it was big enough to hold everything that I needed round after round. The Ballistic Walker is an all-around excellent bag. The only bag that I expect can match the Ballistic Walker is MacKenzie’s very own Leather Walker. I haven’t had the opportunity to play with one of the leather MacKenzie Walkers yet, but it’s certainly at the top of my wish list. I have to say that I’m going to really miss this bag. 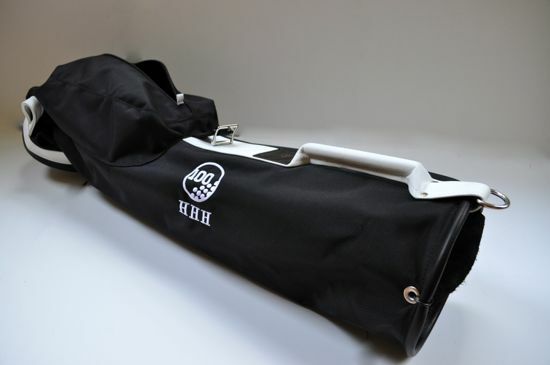 We will be auctioning this bag off with the proceeds going directly to the Shivas Irons Society. 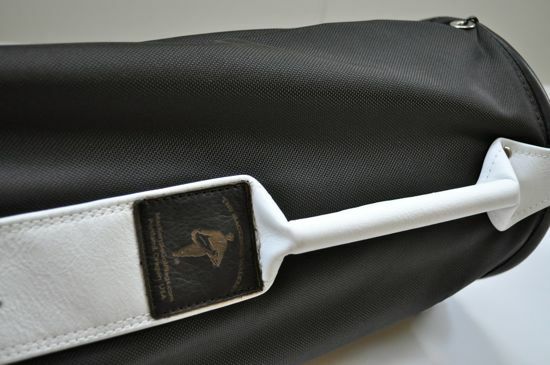 If you’re looking for a minimalist golf bag, then I encourage you to check out the auction and to check out the MacKenzie web site. Interested in more pictures? Check out the MacKenzie Ballistic Walker photo album that we have on the Fresh Facebook page.